When utilized correctly, social media can be one of the biggest assets to your inbound marketing strategy. We're huge proponents of it and have seen social media directly deliver customers for many of our clients (including ourselves!). Let us begin by saying that before you do anything, you need to first determine which platforms are right for your brand, audience and your goals. LinkedIn, Facebook, Twitter, YouTube, Google+, Pinterest, etc., are all various platforms that are super popular, but does that mean you should jump on the bandwagon? We know that social media is a time investment. So we want to encourage you to select platforms strategically. Is this where your ideal customer is spending their time? Is this where your competition is? Are you seeing engagement on this platform? Instead of trying to leverage every single platform, discover which ones your audience uses and start developing high quality content and engaging in conversation! 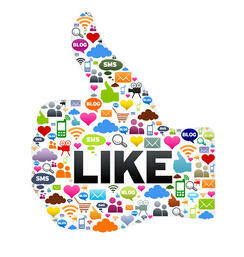 Social media is an essential part of the Attract phase of inbound marketing. It helps drive traffic to your website and fill the top of your marketing funnel. We rely heavily on social media as a way of generating leads and building buzz around our business. And with its high success rate, can you blame us? As we said before, you shouldn’t concentrate on joining every platform, especially if you're just starting out. Instead, focus your efforts on a few platforms that are tailored to your buyer personas. As a marketing and sales firm, New Breed counts on LinkedIn, Twitter, Facebook and Google+ to share content and engage with our customers and prospects. Social media takes work and to be on multiple platforms throughout the day is even more work. We get it. Not all B2B companies have dedicated social media resources, this job often falls to marketing, and with the mountain of other work you do, it can start to feel overwhelming. Which is precisely why we use a software that helps make our life easier. At New Breed, we use HubSpot's Social Inbox which enables us to not only schedule our posts throughout the day on all of our platforms, but we can also analyze our efforts, We can monitor the engagement on every post, and even gives us lead intelligence on the actual person that interacts. It's pretty powerful stuff, and as geeky, analytics loving marketers, it totally rocks our world. Plus, it makes the social media process way more efficient, which makes us happy too. Once you have determined where you are going to put your content – start developing it and stay engaged! This refers to the first step in inbound marketing, attract. You want to elicit an interest in your social media platforms so you can convert these prospects into leads. You need to secure success by consistently utilizing and updating social media to connect with prospects and customers. Your prospects and customers are going to use your platforms to celebrate your business, complain and request support. This is where you come in – acknowledge mistakes, satisfy their need and provide them with valuable newsworthy content. You want to drive traffic and leads, correct? Of course you do! In order to do that you will need to develop a ton of content! Make your content life much easier by creating an outline and drafting up a list of topic ideas. Now you can set a expected date of completion for each topic. These steps will keep your team organized and on the right track, which will allow you to cover a large amount of topics. We recommend utilizing videos, infographics, eBooks, and relevant inbound marketing news to spark interest within your audience. Okay, now we know that you need to identify the best social media platforms (based on your audience / buyer personas), create valuable content, stay engaged and organize – Now what? Let’s make sure you have what it takes to upgrade your social media marketing! Search engines will recognize if you have a strong influence. If you have more followers than the number of people you are following your SEO presence will increase. Consider the timing of your posts! Know your audience – it really does matter what time of day, time of week or time of year it is.